Here is a new sketch - hot off the pencil today. I'm going to paint it with all this energy emanating from the hand. 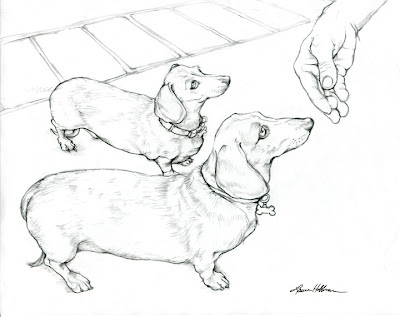 It's all about that magic moment in time when the goodie is offered by their human. 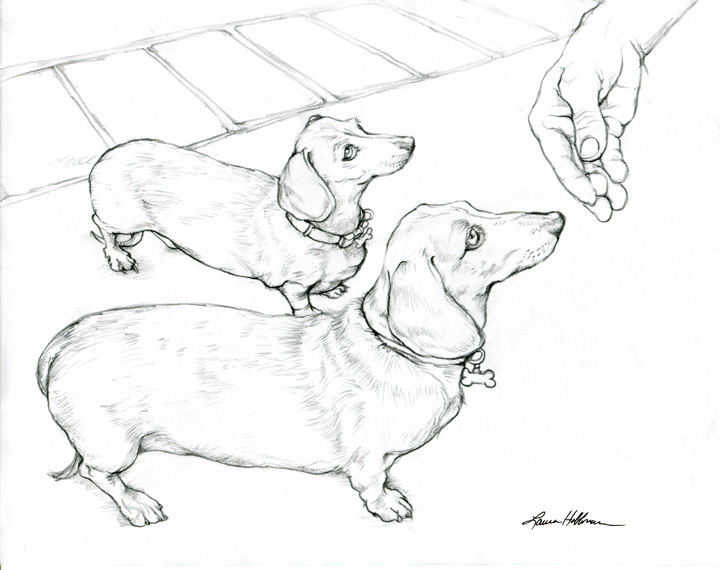 This is Penelope and her aunt Ginger - two older lady dachshunds who are shamelessly motivated by treats.